Food supplement with plant extracts (Echinacea, Chinese milk vetch, Fir buds) and minerals (Manganese and Copper). Manganese and Copper help protect cells against oxidative stress. More specifically, coneflower is an effective aid for the body’s natural defences. It also helps promote healthy upper respiratory tract function. Its pleasant taste makes it suitable even for children. water, fructose, Membranous milk vetch (Astragalus membranaceus Bung.) root d.e. 40% polysaccharides; Manganese gluconate; Echinacea (Echinacea angustifolia DC.) root d.e. 4% echinacoside; flavours; acidity corrector: citric acid; macerated Fir (ethyl alcohol, glycerol, water, buds of Abies pectinata DC. Var. Equi-Trojani Asch. & Sint. ex Boiss 18 mg/ml; thickener: xanthan gum; preservative: potassium sorbate; Copper gluconate. Between 1 tablespoon (10 ml) and 2 tablespoons (20 ml) of product a day, to be taken undiluted or diluted in water or other liquid. 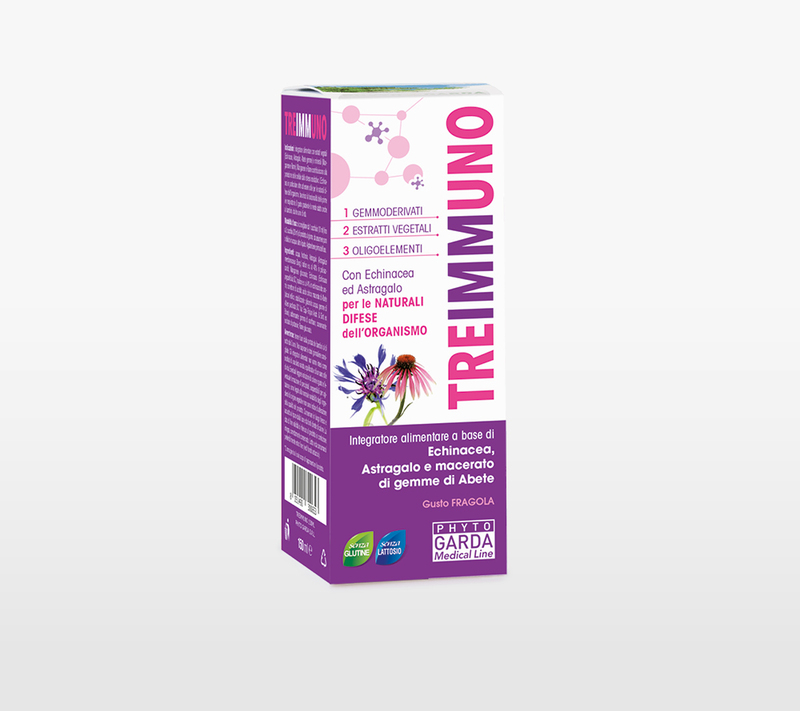 TREIMMUNO is the new name of SANAGOL IMMUNO.